With the RHR. Tannoy pays tribute to its longest serving craftsman. In this loudspeaker. possibly his finest design to date. RonaldHastings Rackham combines the classic styling of which Tannoy is renowned, with advanced sound reproduction capability. The cabinet is sturdy and durable, yet exhibits the finest oiled walnut veneers, inlaid with burr walnut on the front grille divider. Tannoy's classic 15 inch high pressure die-cast frame Dual Concentric drive unit feeds into a rear folded rectangular exponential section horn: it is driven through a hard-wired, acoustic source compensating crossover network supplied by Michell gold-plated terminals . Treble energy and roll-off controls are concealed beneath a nengravedb rassp late located below the drive unit in the front grille divider. Ronald Hastings Rackham can be justly proud of his namesake. 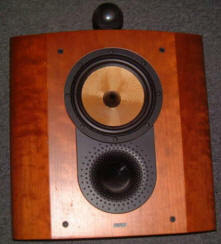 The Epsilon was the last of the truly top-of-the-line speakers produced by Infinity. Designed by John Miller and Cary Christie after Arnie Nudell had left Infinity, it was designed to be the heir to the IRS Betas, but in a more compact package that was easier to place in a room. The Epsilon was a departure for Infinity, in that, after many years of dipole speakers, it was sealed in the back and was (primarily) monopole. The Epsilon may be the most neutral speaker I’ve ever heard - no coloration of the music at all, just very clean, detailed sound. Its only shortcoming may be a lack of deep bass response, the result of trying to fit everything into a single cabinet. When listening to this loudspeaker, the magic of music unfurls before you. triangle has succeeded in adapting the performances and the immaculate control of the magellan Grand Concert to this reasonably sized loudspeaker. Cello provides that extra something which conveys the intense emotion of a musical performance without appearing to make any particular effort. The listening experience is pure unlimited pleasure regardless of the type of music, delivered with magnificent scale and it’s never tiring. It has a wide array of musical skills. It’s as perfectly at ease at high volume level as it is for intimate listening, and is suitable for rooms measuring 25 to 50 m2. The sandwich technology developed by the aerospace industry ensures that the two bass drivers are extremely lightweight and also particularly rigid. dimensioni (46 x 27 x 118 cm) Mobile smussato per ridurre le diffrazioni con i bordi anteriori che accompagnano il disegno delle griglie. Si tratta di un sistema a due reflex posizionati in corrispondenza dei due woofer da 20 cm. Il tweeter da 1” è in seta ed è inserito in configurazione d’Appolito tra due midrange da 5”. Si tratta di driver personalizzati prodotti con materiali rinforzati da fibre di cellulosa. La risposta in frequenza nominale è 33Hz-27kHz, e la sensibilità è di 90dB a 4 ohm. L'unità tweeter-midrange è racchiusa in una camera asimmetrica, ed i woofer sono separati da rinforzi interni per ridurre le onde stazionarie. Dali utilizza MDF dello spessore di 22 millimetri applicando una impiallacciatura a entrambi i lati del pannello per "cancellare lo stress e fornire un rinforzo supplementare." The introduction of a new component to one's hi-fi system usually entails blood, sweat, and afterwards a couple beers -- particularly if you live as I do, in a small Manhattan walk-up apartment. When Gunnar Ek, Dali's US managing director, arrived on my Greenwich Village street, he was instantly excited about the possibilities of finding his own square foot of Manhattan soilent green to inhabit. Me? I was just wondering how we were going to get the teenager-sized Dali Grands up my building's rickety 19th-Century staircase. Measuring 16 1/4"Dx11"Wx46 1/2"H with spikes, . As I wheezed around the second-floor bend, Gunnar wasn't even breaking a sweat. Must be either that hardy Danish weather or the comprehensive health-care system. Once inside my place, we unloaded the speakers and I was instantly taken with their fine cherry-brown frames. These are gorgeous speakers. The Grand's corners are "chamfered," or sculpted, 30 degrees, "reducing the level of influence from diffraction," Dali's European managing director, Lars Worre, informed me later. The Dali's front edges and accompanying foam grilles, are also sleekly contoured, making the speakers look a bit like a svelte supermodel. The visual effect recalls an hourglass sloping from 9 1/2" to 8 1/2" at its crown, then moving slightly outward to 9" at mid-cabinet, expanding gently as you go down to 9 1/2", (just like the bodacious booty of Tyra Banks!). Worre on the hourglass design: "[The chamfered front edges] are where the most important sound improvement is caused by the increased variation in distance from the driver's centers to the particular baffle edge at any vertical position." OK...these are beautiful speakers. Like those Danish women we hear so much about, the Dali Grands are regal in bearing, a majestic delight to look at. But as with the best genetic engineering, Dali didn't come this far on lust (or looks) alone. 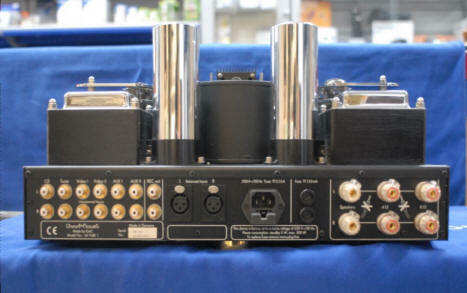 WATT 3: Two-way, stand-mounted loudspeaker with reflex bass loading (QB3, quasi third-order Butterworth alignment fitted with 1"-diameter, 1.75"-deep port suitable for amplifiers with damping factors (DF) of 100 to 400; alternative port supplied for amplifiers with DF between 20 and 80). 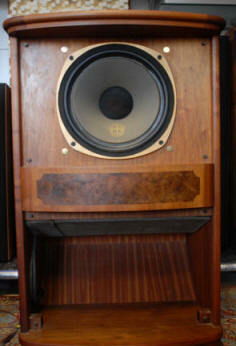 Drive-units: 1" inverted-dome tweeter, 6.5" doped-pulp–cone midrange/woofer unit. Estimated crossover frequency: 3.7kHz. Frequency response: 58Hz–18kHz +1, –3dB. Nominal impedance: 4 ohms (measured minimum 1.7 ohms at 2.4kHz). Sensitivity: 91dBA/W/m. Amplifier requirements: 30W minimum. Subjective performance Q: 1 (–6gb points). Dimensions: 13.625" H by 11.1" (11.9" wood-paneled) W by 16.5" D. Enclosure volume: 12 liters. Weight: 120 lbs/pair (166 lbs shipping weight).Puppy: floorstanding subwoofer with integral high-pass crossover for WATT 2 and 3 and reflex bass loading. Drive-units: two 7.5" plastic-cone woofers. Estimated frequency response (–3dB) when driven by integral low-pass crossover: 30Hz–130Hz. 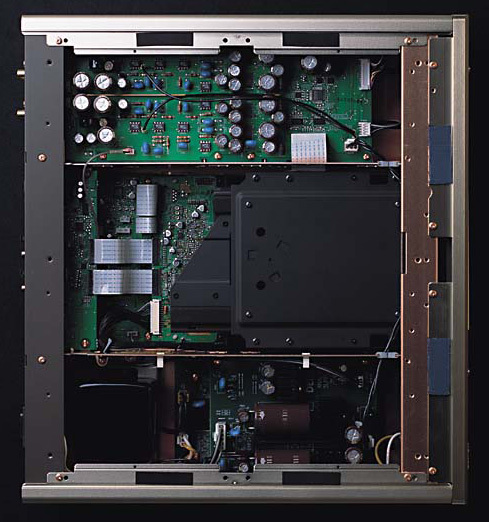 Nominal impedance: 4 ohms.Dimensions: 24" H by 11.3" W by 16.5" D.
NuForce developed its prescient preamplifier technology from the ground up to reassess and redefine faithful music reproduction. The firstimpressions of listening to NuForce preamplifiersare those of pristine clarity, natural tonality,expansive imaging, and realistic proportions of themusicians and their instruments. Bass notes arewell defined and articulate, with addictive rhythmand drive. P-8 is NuForce's entry level high-endpre-amplifier.Specifications• Audio inputs: 3 sets of RCA inputs and a 3.5mm stereo input jack(for digital media player, PC sound devices).• Audio outputs: 1 set of RCA,1 set of balanced XLR,and a 3.5mm stereo headphone output withcross-feeding to create a natural soundstage.• Remote input selection and volume control with memory (last selection,volume level)• Mute and Sleep functions• Digitally-controlled switched attenuator. Volume Range: +30dB to –70dBwith 0.5dB steps• Dynamic Range: > 100dB• Input Impedance: 4K ohm• Output Impedance: 40 ohm• THD+N at 1kHz: <0.01%, typically 0.003-0.005%• S/N Ratio: > 85dB• Frequency Response:at 20-20kHz = +0dB/-0.2dBat 20-170kHz = +0db/-3dB• Maximum output : 8V RMS• Crosstalk: –130dBFS• Dimensions: 1.75”H x 8.5”W x 16”D• Weight: 6 lbs• 100W SMPS with PFC (Power Factor Correction)• Power Requirements: 90-240VAC, auto select. 6 line inputs incl. 2 Tape in/outputs with dubbing facility •Switchable MM and MC phono input •2 line outputs•Gold plated phono and CD input sockets•Gold plated output sockets•Independent headphone amplifier •Tone defeat switch Based upon the highly praised NAD106, the model 114 is the latest in the range of NAD high quality /low price pre-amplifiers.Following in NAD's usual design brief of ‘sound quality first’� the 114 utilises reliable, uncomplicated circuit topology which allows for investment in high specification, close tolerance components such as a large, low noise transformer, metal film resistors, polypropylene capacitors and a precision volume control. A carefully re-designed PCB layout contributes further to a noise and distortion free performance. 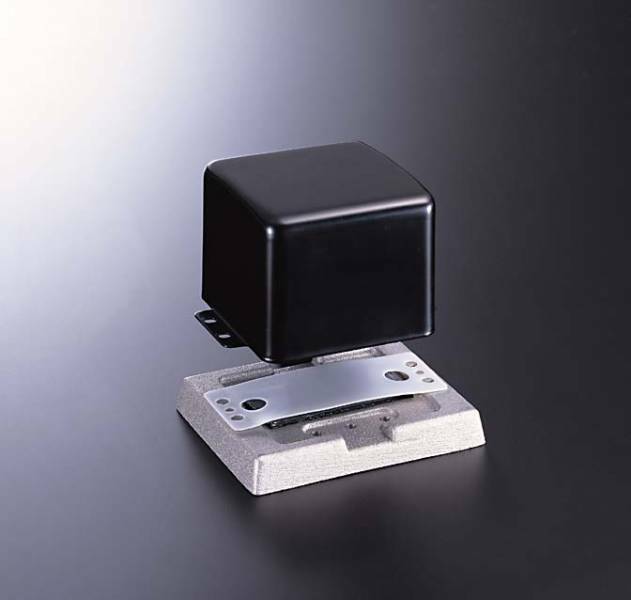 The input selectors are operated by push rods and are located as closely as possible to the input sockets to minimise cross talk. 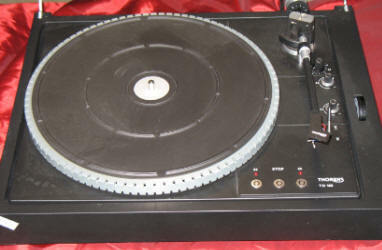 Also featuring Gold plated RCA jacks (to give reliable signal transfer), and two tape loops to offer flexibility for tape dubbing in either direction (or the inclusion of a signal processor). Any input may be monitored whilst recording. A gold plated 1/4’� jack socket permits most non-electrostatic headphones to be connected to the dedicated headphone amplifier. 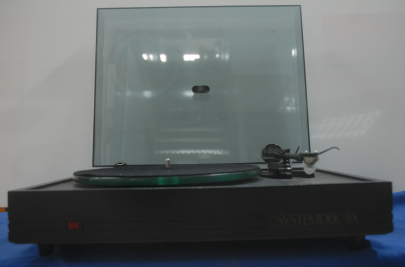 Still in demand by music lovers (but often disregarded by other manufacturers) is a good quality phono stage. 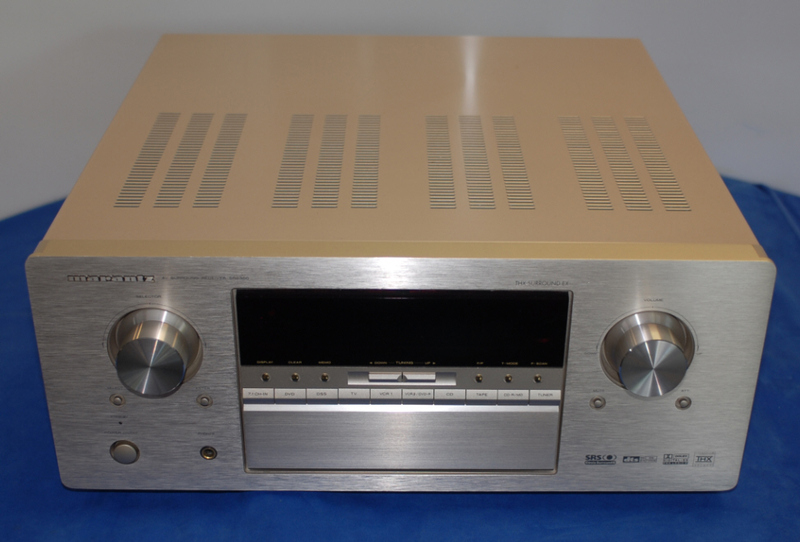 The phono stage in the 114 is a fine example of what can be achieved at a reasonable price. 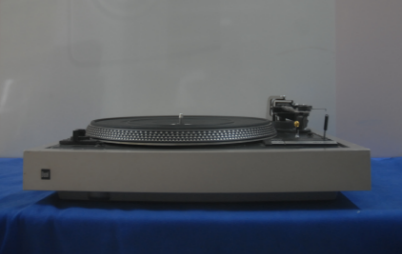 The phono stage is switchable to allow moving coil or moving magnet cartridges to be used. 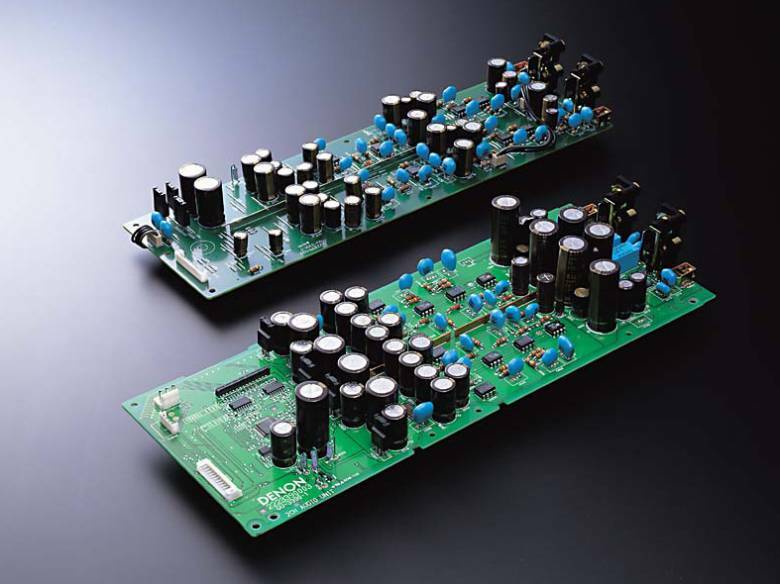 Metal film resistors, polypropylene capacitors and seven discrete transistors provide extremely low noise performance, precise equalisation and a dynamic range of 105dB. The 2B SST sits relatively low in a range that extends all the way up to the massive 28B SST monoblocs, which can pump out 1kW of power without breaking a sweat.But while it is a junior model, it's no lightweight: it tips the scales at well over 12kg, and is capable of delivering 100w per channel into an 8ohm load, or 180w into 4 ohm speakers.And that's not the end of the story: upgrade your system with the addition of another 2B SST and, at the flick of a bridging switch, the amp becomes a 350w monobloc, with some serious stump-pulling power.So it's a chunky hunk of Canadian-made metal, with the solidity of the build backed up with a 20-year warranty. And under the skin there's a hefty twin-transformer power supply, output devices specifically developed for the SST series and computer-modelled heatsinks to keep the whole plot on the island even when your driving your speakers hard. The 2B SST sounds effortlessly huge There are selectable RCA phono and XLR inputs, 12V trigger switching for remote start-up/standby, and a choice of silver or black finishes plus Bryston's usual 17in (43.2cm) and 19in (48.2cm) faceplate options. In use, the 2B SST sounds effortlessly huge: it combines refinement, transparency and punch in a way that eludes all but the very best. Carl Orff's Carmina Burana is delivered with immense scale and dynamic reach, with each instrumental strand easy to follow no matter how complex the piece gets. 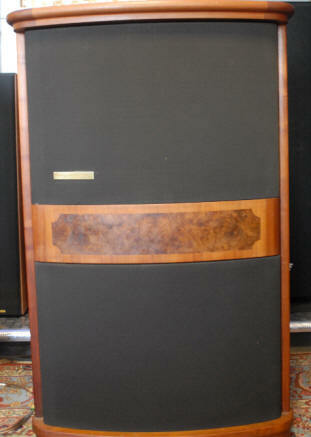 In addition, there's a lovely openness to the presentation that makes speakers like our ATC SCM 50s disappear. Move to the White Stripes, and the Bryston delivers rock solid bass, crisp timing and a truckful of detail. jeff Rowland | Model 112 Amplificatori Finali Stereo Serie Amplifiers Finale di potenza stereo da 150 W + 150W RMS su 8 ohm (250 W RMS/4 ohm). Ingressi sbilanciati e bilanciati, guadagno selezionabile, chassis interamente in alluminio. Finale di potenza mono da 250W RMS su 8 ohm, 500W RMS su 4 ohm, 1 Ingresso bilanciato o sbilanciato tramite adattatore opzionale, 1 uscita. Costruzione interna ad "H" non-risonante. Jeff Rowland imaging, staging, and musicality in a beautifully crafted monoblock chassis capable of capturing the often elusive music and theater experience with grace and authority. Model 201 delivers a compelling musical experience with a linear frequency extension that ranges from a deep pitched bass to a textured treble, with rippling harmonics and nuanced low level resolution. This work of art, in both sight and sound, is a true Rowland.Housed in an elegant and compact chassis milled from aircraft-grade Aluminum ingots, the Model 201 monoblock power amplifier has been created to exacting JRDG artistic and engineering standards. 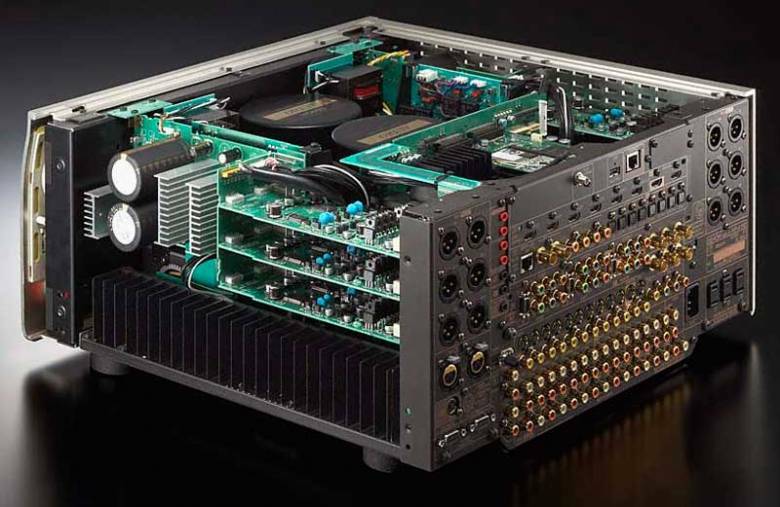 The advanced green technology that delivers its refined performance, make the Model 201 monoblock power amplifier ideal for the most sophisticated stereo and multi-channel audio systems at a real world price. Output Power Continuous RMS @ 8 ohms - 250 watts / @ 4 ohms - 500 watts Frequency Response 5 Hz - 70kHz, 3dB Peak Output Current > 35 amps Dynamic Range 117 dba Load Impedance Range 2 ohms - 16 ohms THD + Noise 0.1W-500W/4 ohm <.05%, typically .006 @ 1kHz CCIF Intermod. Dist., 19/20kHz <.002% Damping Factor @ 1 kHz 1000 Overall Gain Selectable Internal Jumper, 26 or 32 dB Input Impedance 40k Ohms Common Mode Rejection Ratio >90dB, 20 Hz 20 kHz Absolute Phase Non-inverting, Pin 2 Positive Inputs 1 x Balanced XLR (Unbalanced operation requires an optional XLR to RCA adapter) Outputs 1 Pair CE-Approved Binding Posts Power Consumption Idle - 9 watts Maximum - 650 watts Amplifier Weight 13 lbs/6 kg. 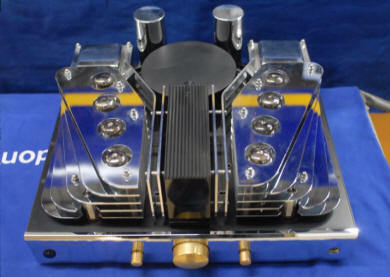 Amplifier Dimensions 2.6" x 8.4" x 11.5"
Specifications: 120 Watt per channel into 8 Ohms RMS; 0.008% THD at rated output; FR. 1 Hz - 100 KHz +0dB -3 dB; Input sensitivity 1.1V; Input Impedance 47 KOhms; Signal to noise ratio 110 dB; Power requirements 220 - 230 V 50 Hz; Please note the voltage is for UK / EU Only. Weight - 12.3 kg. Amplificatore finale di potenza a 3 canali. 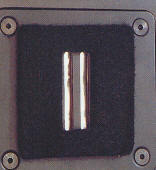 25 W x 3 canali su 8 ohm (canale centrale e canali surround). Ideale in abbinamento al AVRF100 per creare un sistema multicanale A/V.Stadi finali separati a componenti discreti. Accensione e spegnimento controllati dal telecomando in dotazione all'AVR-F100. Denon-Design-Endstufe POA-100 Dreikanal.Äußerlich sehr gut erhalten. Technisch i.O. Aus Ausstellung gekauft und von mir seither fast unbenutzt. Reduziere jetzt meine Sammlung. Design: silber. Leistungseigenschaften: - Anzahl der Signal-Kanäle: 3 - Mitte:25 W Sinusleistung - Hinten:25 W Sinusleistung, pro Kanal - Sinusleistung (Mitte) gemessen an 6 Ohm - Sinusleistung (Hinten) gemessen an 6 Ohm - Frequenzgang-Untergrenze, Line: 20 Hz - Frequenzgang-Obergrenze, Line: 50000 Hz - bei max. Abweichung, Line von + 1 dB - bei max. Abweichung, Line von - 3 dB - Eingangsempfindl., normal/direkt: 0,435 V - Eingangsimpedanz: 47 KOhm Geräuschspannungsabstand: 90 dB.Anschlüsse: - Cinch-IN, gesamt: 3. Konstruktionsmerkmale:diskreterVerstärkeraufbau.Leistungsaufnahme/Spannungsversorgung: - Leistungsaufnahme, Betrieb: 72 W.GehäuseEigenschaften: - Breite: 27 cm - Höhe: 8,4 cm - Tiefe: 25 cm- Gewicht: 3,9 kg. Amplificatore integrato 50W / canale – Trasformatore toroidale customizzato 120VA ad elevata capacità – Ingresso AV dedicato a guadagno fisso – Circuitazione Cascode per migliorare l’immunità dell’alimentazione. Superb design together with a remarkable construction, high technical thoroughness and a finish beyond reproach allow the MAP305 II to meet the expectations of the greatest number of stereo freaks at a reasonable cost. Technically speaking, the AB class operating mode of the famous MAP-303 has been kept and optimized featuring a new ultra-rigid chassis with sealed compartments, new internal architecture and ubiquitous use of best quality circuit components.Musically speaking, the MAP-305 II expresses delicate subtlety and the right balance, always ready to deliver the right amount of power and dynamics. Neutrality, transparency and energy gathered in the AB class are making the MAP-305 II a unique musical instrument. Description High-performance processor for converting a digital audio input stream To an analog output signal at fixed line level. Operating format is an ultra linear 1 bit system performing @ 24 bit equivalent static linearity in a dual parallel balanced differential configuration. Computer optimized passive filtration maintains phase linearity to 80 kHz. Proprietary "jitter" reduction circuitry assures extreme accuracy in the conversion of each bit. Master clocking is performed by three separate precision lithium-tantalite crystals each clocking an associated PLL reference oscillator and dedicated to a single one of the processor's sampling rates. Analog signal output is developed by a proprietary discrete FET /bi-polar buffer. 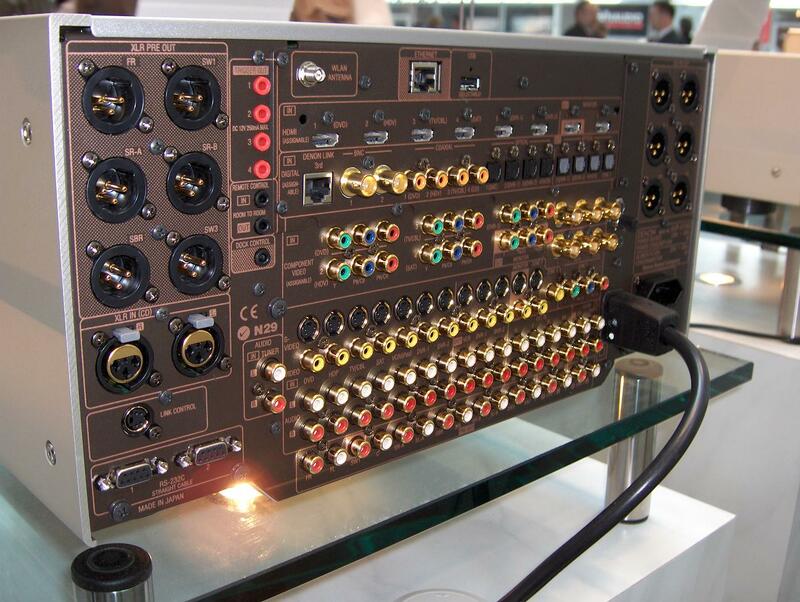 Four digital inputs are provided, 2 via coaxial, and 2 via optical connectors. One optical digital output and balanced or single-ended characteristic stereo analog output signals are available. 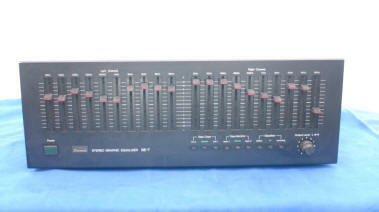 The analog output signal characteristic may be phase rotated 1800 • Front panel controls: INPUT SELECTOR, PHASE. Front panel displays indicate: sampling rate; emphasis present; lock lost; standby mode. Frequency response 48 kHz sampling: DC to 22 kHz ± 0.15dB. 44.1 kHz sampling: DC to 20 kHz ± 0.15dB 32 kHz sampling: DC to 15 kHz ± 0.15dB. Decoding system 1 bit performing @ 24 bit equivalent static linearity. (500Hz, pass band filtered) Oversampling clocked @ 768 times incoming data Jitter MApproximately 20 picoseconds Linearity Within ± 0.3 dB @ - 120 db below digital maximum level Output filtration 3rd order (passive) with phase linearity to 80 kHz De-emphasis MPassive analog Distortion Below 0.002% typical 20 Hz through 20 kHz. Esoteric SA-50 Lettore integrato CD/SACD, ma non solo. Il nuovo lettore CD/SACD integrato Esoteric – l’SA-50 – adotta la nuova supermeccanica VOSP e la conversione dual-mono da 32 bit, ma la vera novità risiede nella sua flessibilità operativa che apre inedite opportunità d'impiego. Esoteric continua a tener fede al proprio nome, proponendo una macchina puntualmente dotata di una splendida sezione meccanica e di un altrettanto raffinata sezione di conversione D/A, ma che rompe con la tradizione, proponendosi non solo come un player di riferimento, ma anche come un vero e proprio preamplificatore digitale, con ben 3 ingressi, 1 ottico, 1 coassiale e 1 USB compatibile con XP, Vista e Mac OSX. Ultima indispensabile chicca della rivoluzione Esoteric, il controllo di volume, tramite il quale sarà possibile collegare direttamente SA50 ad una sezione finale di adeguata qualità, per ottenere un impianto di grande livello e in grado di “digerire” e riprodurre qualsiasi tipo di stream. Tramite i due DAC 32 bit dua mono firmati EMD Asahi Kasei adottati da SA50 è anche possibile scegliere la tipologia di conversione dello stream digitale in ingresso, secondo quattro modalità: la prima prevede di lasciare intatto il segnale, la seconda di convertirlo in 2X, la terza in 4X e l’ultima traduce il PCM in DSD. Davvero interessante, poi, il circuito di re-clocker (2nd PLL), indispensabile soprattutto per sorgenti “ballerine” dal punto di vista del clock come possono essere quelle informatiche. Ma SA50 è “anche” un player di grande spessore. Adotta la meccanica VOSP (Vertical-aligned Optical Stability Platform) che garantisce assoluta precisione nel posizionamento del laser nei confronti della traccia da leggere, evitando l’intervento del correttore di errori. Il VOSP è un meccanismo ad elevata massa, saldamente fissato alla sua base, con ogni parte del complesso ampiamente surdimensionata, ed in metallo finemente lavorato. Il risultato, oltre ad una chirurgica precisione nella lettura, è una grande refrattarietà alle risonanze. A sostenere questa magnifica flessibilità operativa, che apre l’uso di una macchina di altissima qualità al mondo della musica liquida ed informatica, una costruzione tipicamente Esoteric, con alimentazioni separate e ben dimensionate; indispensabile, poi, per il miglior interfacciamento con il pre o direttamente con un finale, le uscite sbilanciate RCA o bilanciate XLR p. Il peso è di 17.5 chili. No.37 Description: CD transport with four digital outputs: AES/EBU on XLR, S/PDIF on BNC, S/PDIF on RCA, ST optical. Dimensions: 15.75" W by 3.76" H by 14.3" D. Weight: 34 lbs (shipping). Copland is now available in the US; the company makes its Stereophile debut with this review of its top-of-the-line CDA 288 CD player. This well-balanced design is 17” wide but measures 6.9” high — almost double that of standard slimline units. Black enamel is used for the casework, whose undamped, heavy-gauge steel accounts for much of the CDA 288’s considerable weight (35 lbs). Silver alloy constitutes the cleanly anodized faceplate, distinguished by just two control knobs of machined alloy and one small, chrome pushbutton, the latter so discreet that one might not even notice it. This button operates the open-close function for the slim CD drawer located beneath the central, fluorescent- green display window.With the left control configured as an old-style rotary power switch and no other buttons in sight, one might legitimately wonder how to manually operate the player with the one remaining. But the smooth-acting rotary knob not only controls track step forward or back, but selects Play and Pause when pushed in. Stop is achieved by operating the drawer button.When the display is in Off mode (dimming is available on the handset), no operating indicators are lit — save the green HDCD lamp, if such a disc is playing. 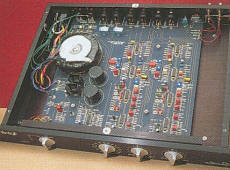 When commanded, the display is illuminated and remains so for a couple of seconds, indicating the relevant operation.An IEC mains socket is located on the rear panel, along with high-quality gold-plated unbalanced audio outputs (nominally 2.5V maximum output), optical (TosLink) and coaxial (RCA) digital outputs, and an output off switch. (Though the CDA 288 is intended to be a standalone player, it can also be used as a transport.) It lacks such luxuries as a headphone socket or a remote volume control.The remote handset, made in Japan, has clear labeling and a quite logical but ton layout. Secondary controls available include display on/off, drawer open/close, time mode (elapsed, track, total), and index access. A 10-key numeric array allows for rapid track access and programming, these facilities including auto space (for track-seeking cassette dubs). Play modes include single-track and total, program repeat, and A—B repeat. 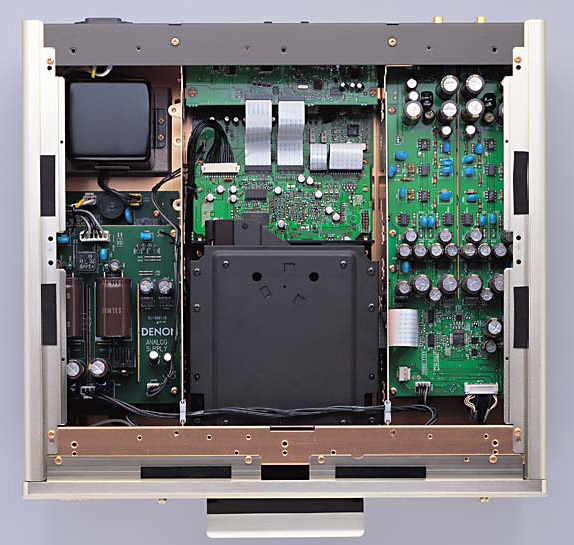 The infrared control has a good range and is not unduly directional.Description: Single-box CD player using a TEAC VRDS transport mechanism, HDCD decoding, and optical (TosLink) and coaxial (RCA) digital outputs. Maximum output level: 2.4V. Output impedance: 30 ohms. Dimensions: 17” W by 6.9” H by 15” D. Weight: 35 lbs (16kg). The Denon DCM-5000 offers a variety of control options that make it easier than ever for the user to organize and access an entire CD music library. Standard control functions such as play, stop, random play and so on can be activated from either the ergonomically designed front panel or via the supplied remote control—but that’s just the beginning. The user can also connect a standard PC keyboard directly to the DCM-5000 and enter disc/name information into the DCM-5000’s memory; once entered, this information is displayed for easy identification when the disc is selected for playback. Each CD can be assigned to any of up to eight musical categories (i.e., "Rock," "Jazz," "Country" and so on), and the user can choose to listen to only CDs within a particular category at any time. 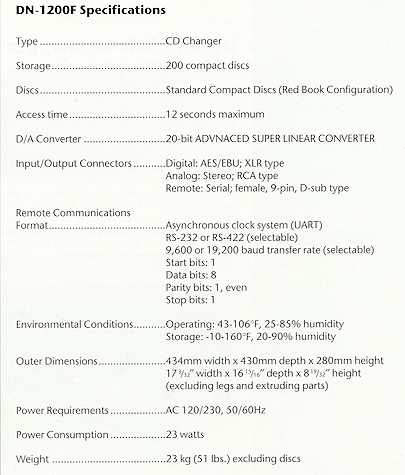 CD TEXT CDs are also supported.The DCM-5000 also includes a standard RS-232 serial port, allowing it to be controlled by a personal computer. 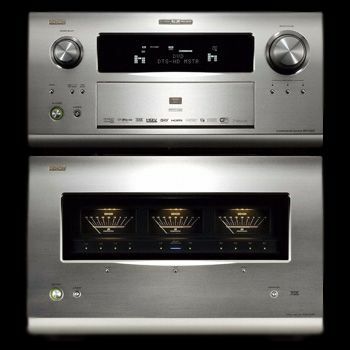 And for the ultimate user interface, the Denon DCM-5000 is compatible with the Escient Tune-Base CD management system. 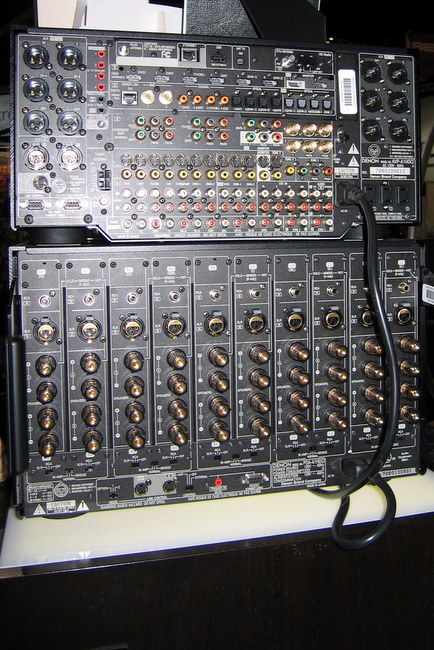 Escient’s Tune-Base system, which has an Internet PC-based engine and proprietary software, connects to the DCM-5000 and the home theater system’s monitor TV. Because every CD has a unique Table of Contents, the Escient Tune-Base system is able to look up the names of each CD (using the CD’s unique identification code) and enters its title, artist’s name, song title and even album cover into a custom, personalized database. A graphical on-screen interface then allows the user to choose and play the desired music simply by clicking on album cover art and song titles!Advanced Engineering for Audiophile Sound QualityAlong with its unparalleled playback versatility, the Denon DCM-5000 provides true audiophile sound quality, superior to even esoteric high-end CD transport/ D/A converter combinations. Key to the DCM-5000’s superb audio performance is Denon’s new 24-bit ALPHA processing technology, a proprietary analog waveform reproduction technology that uses newly developed interpolation algorithms to provide 24-bit resolution from conventional 16-bit CDs. 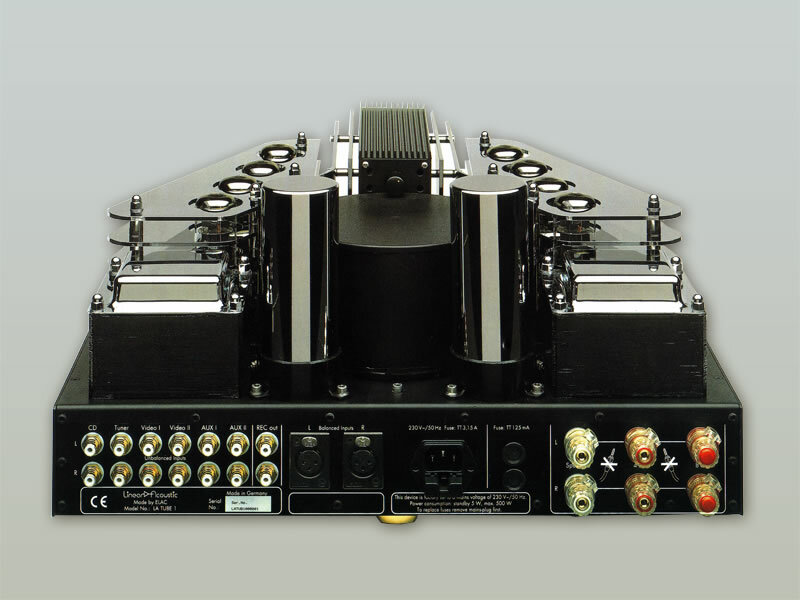 The DCM-5000 incorporates the finest available 24-bit Burr-Brown D/A converters for ultimate sound quality. The DCM-5000’s ALPHA processor also incorporates an adaptive digital filter that automatically adjusts the low pass cutoff frequency, for improved pass-band and impulse response. The result is a dramatic leap forward in CD sound quality, with vastly improved low-level detail resolution, outstanding dynamic range, precise imaging, a wider and deeper soundstage and a far more natural musical presentation.Built-In HDCD Decoding In addition, the DCM-5000 incorporates the Pacific Microsonics HDCD decoder chip to obtain the full sonic benefits of HDCD-encoded CDs, which offer greater resolution and dynamic range than standard CDs. HDCD is a multi-stage process that overcomes the limitations of the 16-bit CD format by using a patented system to extend the dynamic range of CDs to a 20-bit level, while remaining completely compatible with the CD format. The DCM-5000’s built-in HDCD decoder also improves the sound of non-HDCD discs, thanks to its high-precision digital filter. More than 2,000 HDCD titles from major artists are currently available, with the list growing rapidly. 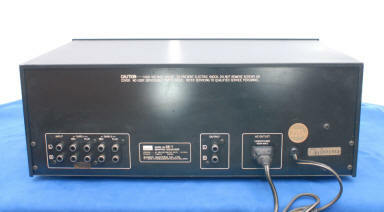 The Denon DCM-5000 carries a suggested retail price of $1,800, and the DCM-5001 100-disc slave changer unit is available at $1,300 suggested retail.Denon Electronics is Japan’s oldest audio company. 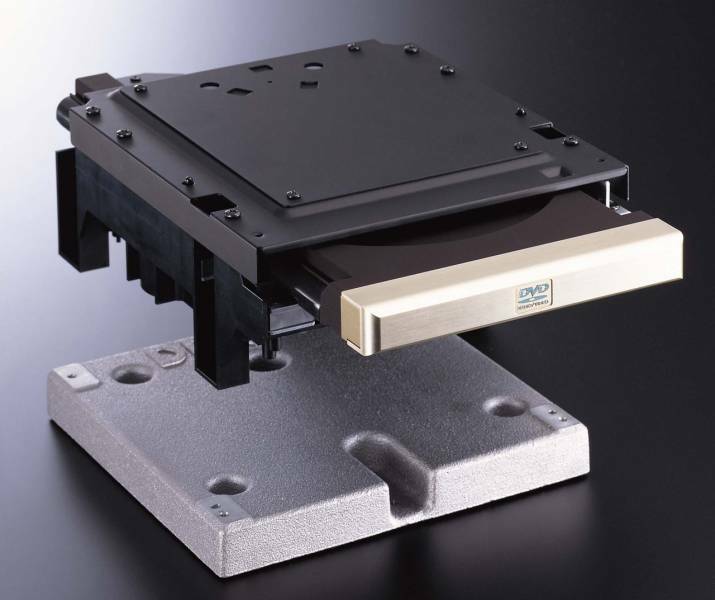 Founded nearly 90 years ago, the company has a long history of technical innovations, including the development and first commercialization of PCM digital audio recording.100 disc CD Changer • Dual CD drives • Slide-out, non-removable linear CD tray • HDCD decoding via Pacific Microsonics PMD-100 filter/decoder • 24 bit Burr-Brown premium DACs (Audio output 1) • 20 bit digital filter, 18 bit Burr-Brown premium DACs(Audio output 2 - second zone) • CD Text • Disc naming function, via front panel controls or via external PC keyboard input, or via remote control • 8 Music groups • 40 step programming X 4 functions = 160 step programming capacity • 2 sets analog ouptuts (main and second zones) • 2 sets digital outputs (coaxial) • Digital inputs for connection to optional DCM-5001 auxilliary drives • Crossfade in analog mode • Up to 5 DCM-5001 aux drives can be connected to DCM-5000 control drive • Remote control supplied • RS-232/422 serial port • Composite video output for on-screen display • assorbimento: 42 W-misure: 434(B) x 243 (H) x 474,5 (T) mm-peso 16,2 Kg. 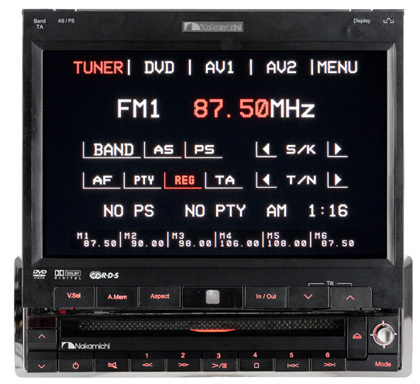 100 disc CD Changer • Companion to DCM-5000 • Dual CD drives • Slide-out, non-removable CD tray • 20 bit digital filter, 18 bit premium Burr-Brown DACs for both analog outputs • 2 sets analog outputs (main zone/second zone) • Digital connections (2 coaxial) to DCM-5000 for all digital transfer • Up to 5 DCM-5001 drives can be connected to DCM-5000 master drive • RS-232/422 serial port • misure :434(B) x 243 (H) x 474,5 (T) mm-peso 16,2 Kg. Delta Center Channel Speaker Vocals are clear and very natural. Every nuance of the voice is perfectly reproduced. These are quite musical and elegantly designed. Sound is free flowing, crisp, and the imaging is extremely defined. This speaker has sat dormant in my back closet for the past 6 years. 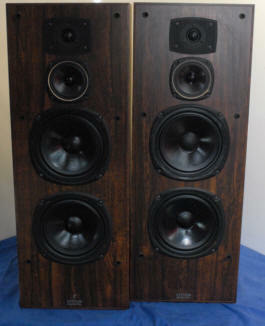 It was replaced w an Infinity $600 center and I still miss the crisp high imaging from this speaker. Look around for reviews and you’ll see this model is a sound bargain for discriminating ears. Absolutely no little corner dings whatsoever. Not easy to part with but speakers are meant to be heard, not sitting in a closet. Thanks for stopping by! Specs: 2-Way 100 Watt Speaker Center Channel Speaker Center Channel Speaker Sensitivity dB 1m/2.83V 89dB Impedance (ohms) 6 Bass Driver 2 x 130mm High Frequency Driver EMIT b-R Power Rating 15 - 100 watts Dimensions H x W x D 6-5/8” x 19” x 9" Frequency Response 60 - 35kHz I will ship at buyers option for shipper but I prefer FedEx Ground for cost and efficiency. The speaker will be bubble wrapped and well packed for safe transport. 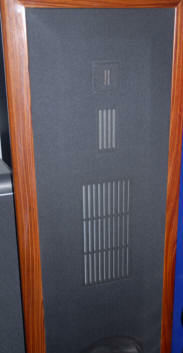 The Piccolo Solo center speaker is a descendant of the amazing Solo center speaker we reviewed a couple of years ago. The Piccolo Solo also comes with the traditional Sonus leather fitting, which is actually pretty ingenious. You see, if Sonus had just used the piano-black sheen or thewalnut finish, there would likely be a reflection coming from the speaker via your TV monitor (or front projector). Since the Piccolo Solo's leather has a flat, grainy look to it, this isn't a problem in the least, so your movie-watching experience won't be negatively affected. Altoparlanti 2x13cm woofer 8 cm midrange tweeter emit-b- risposta in frequenza 70hz -45khz 2db - Frequenza di taglio 600hz ,4khz- efficenza 88db/2.8v/1m- impedenza 6 ohm- Misure 509x230x270 mm- Potenza 10w-150w - Peso 12.5 kg. MISURE 44 x 37 x 16 cm 1 SOLO 1 Diffusore adoperabile per esempio canale centrale. Nella storia della Mark Levinson ci sono stati molti prodotti che hanno rappresentato vere e proprie pietre miliari. 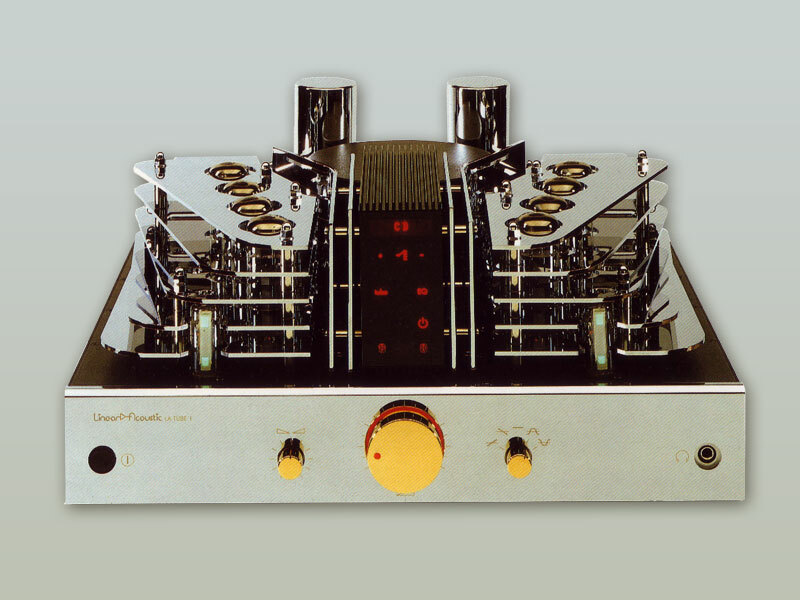 In quest’illustre gruppo figurano il pre phono JC-1 (1972), il preamplificatore ML-1 (1977), i finali mono ML-2 (1977), il primo componente “Reference”, il finale mono N°20 (1986) e i leggendari Processore Digitale Reference N°30 (1991) e Pre Reference N°32 (1999). Questi prodotti, sin dalla loro presentazione, erano ovviamente destinati a diventare dei classici. In molti casi questi classici erano notevolmente più costosi di qualsiasi altro prodotto della stessa classe, e spesso offrivano meno funzioni (o meno potenza) rispetto ad apparecchi concorrenti. Tuttavia sono diventati dei classici. Questi ed altri leggendari prodotti Mark Levinson condividono una straordinaria caratteristica, surclassando, infatti, qualsiasi altro apparecchio della loro categoria. 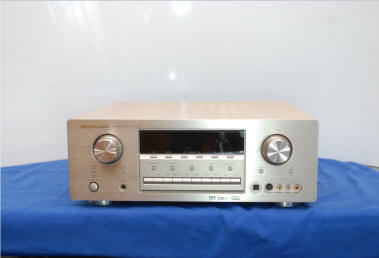 Il motivo principale per possedere un prodotto Mark Levinson è il livello delle prestazioni offerte, e sono proprio le eccezionali prestazioni quello che caratterizza il Media Console Mark Levinson N°40. Il N°40 è probabilmente il prodotto più innovativo dei 29 anni di storia del marchio, sicuramente destinato ad entrare nella lista dei classici. Come i prodotti Reference anche il N°40 va considerato uno spartiacque, rappresentando una transizione importante tra come sono stati progettati i prodotti nel passato e come lo saranno nel futuro. Come i prodotti Reference il N°40 ingloba una raffinata esecuzione di molte tecnologie sviluppate e sperimentate in apparecchi Mark Levinson precedenti, insieme a nuovi dispositivi e nuove tecniche. Molte innovazioni tecniche sviluppate per il N°40 troveranno spazio in futuri progetti Madrigal. In effetti, è già successo: sia il CD Processor Mark Levinson N°390S, di eccezionali doti timbriche, che il Proceed AVP2, nuovo pre audio/video, ne hanno già beneficiato. Perché, allora, il N°40 non è stato designato come prodotto Reference? Per quanto buono sia, infatti, il N°40 non eguaglia le prestazioni di quattro Pre Reference n°32 e di quattro Processori Reference N°30.6. Le sue prestazioni sono molto vicine ai prodotti Reference, e la combinazione del N°40 con i N°32 e N°30.6 offre grandi risultati. Configurazione modulare Il N°40 è un progetto modulare in grado di accettare le più svariate configurazioni: la sua configurazione standard viene incontro alle esigenze della maggior parte degli impianti. Sia il processore audio che quello video hanno diversi “slot” liberi per espansioni tramite i moduli opzionali, dei quali alcuni già disponibili: moduli per ulteriori ingressi/uscite, per ulteriori R-Zone, per speciali esigenze di comunicazione, per interfacce sicure audio o video, per la gestione avanzata video, per risorse addizionali DSP. Configurazione Standard del N°40 3x ingressi compositi 6x ingressi S-Video 3x ingressi video component 6x SPDIF su RCA 4x Toslink 2x AES/EBU su XLR 1x SPDIF su BNC 1x coppia audio analogica bilanciata su XLR 6x coppie audio analogiche sbilanciate su RCA 8 canali audio principali d’uscita (bilanciati e sbilanciati) Uscite principali Composita, S-Video e Component 2x R Zones (zone remote/record, audio e video) Interfaccia utente grafica La caratteristica del pannello frontale che attira maggiormente l’attenzione è la presenza di un piccolo schermo LCD sul processore video. Questo schermo può essere usato in molte, utili, maniere inclusa quella di accedere a tutti i menù di setup e relative opzioni di controllo attraverso la nostra interfaccia utente grafica (GUI). AV 1003 HOME THEATRE 7.1 Come nell'hi-fi, anche nell'home cinema i sistemi più pregiati sono realizzati tenendo distinte la gestione delle sorgenti dalla gestione delle potenze: al posto di un unico telaio che racchiude la sezione digitale, la sezione di pre-amplificazione e i canali di potenza, si preferisce affidare le funzioni "delicate" ad un apparecchio che stia lontano dalle grandi energie e dai loro influssi sulla purezza dei segnali; la parte "muscolare" sarà affidata ad un amplificatore massiccio ma autonomo ed adeguatamente distante. Con questo approccio abbiamo realizzato il pre/decoder AV-1003, capace di fornire otto canali decodificati ("7.1") che sfruttano i più recenti processi surround (THX-EX e DTS-ES) in aggiunta ai più classici Dolby Digital e DTS. Non manca l'elaborazione Pro Logic II, utile non solo per materiale codificato Dolby Surround ma anche per donare ambienza a materiale stereofonico, che acquisterà maggiore realismo. Lettore digitale per DVD Audio/Video, DVD-R, DVD-RW, CD, CD-R, CD-RW, MP3, Foto JPEG e Kodak. Certificazione THX Ultra. Nuovo circuito Progressive Scan Sil504 Silicon Image (solo NTSC). 5 regolazioni video tra cui contrasto e colore. 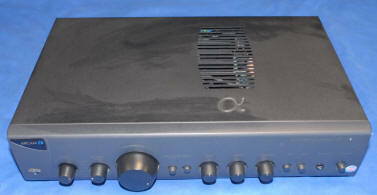 Sofisticata sezione di conversione con 8 DAC audio a 24bit192kHz. Modalità Pure Direct. Elaborazione AL24. 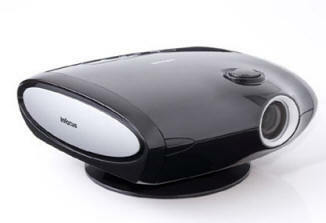 Filtri Super Sub Alias e Noise Shaped Video. Chassis in rame a struttura ibrida per lo smorzamento delle vibrazioni. Sezioni di alimentazioni separate. Decoder HDCD. Riproduzione sia PAL che NTSC. Convertitore D/A video 14bit/108MHz. 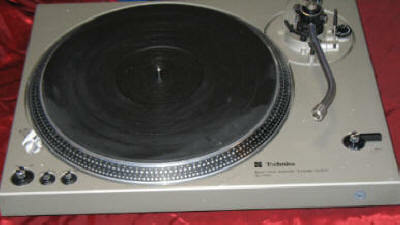 Denon Digital Link. 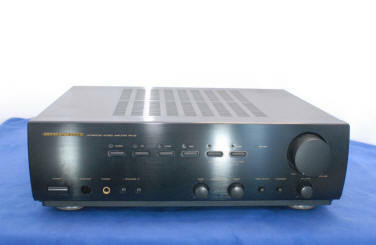 Uscite audio digitali AC-3, DTS, e PCM 24/96. Uscita analogica stereo, uscite digitali (ottico e coassiale) ed uscite analogiche separate 5.1. Ingressi digitali ottici e coassiali. 2 uscite video composito, 2 S-Video, 1 Scart RGB e 1 component. Porta RS-232. Telecomando retroilluminato glow-key multifunzione in dotazione. Finitura in nero o oro. THX Ultra Certified • Powered by the latest Silicon Image/DVDO PureProgressive (SiI504) Decoding Engine - highest quality progressive decoding engine available • Accurate 2:3 pulldown detection and reconstruction • Optimum processing for film content, video content, graphics content and mixed-mode content • New ESS Vibratto ES6038F MPEG/DVD-Audio Decoder • New highest resolution Analog Devices 108 MHz, 4:4:4, 14 bit Video D/A Conversion system featuring Noise Shaped Video processing(progressive and interlace output) • 4x Oversampling Progressive and 8x Interlace output • (2)Composite and (2)"S" outputs • 2X DVD read speed; 4X CD/CD-R/CD-RW read speed; with 4MB drive buffer memory • 4:3 Squeeze and Zoom Controls • Top audio performance, featuring 8 Burr-Brown 24-bit, 192-kHz PCM 1704 Audio DACs, with 2 per Main L/R Channels in differential mode • Pure Direct Modes to defeat unneeded portions of player for the ultimate in audio performance • Full Digital Bass Management for DVD-Audio, featuring Analog Devices 32-bit processor; 80Hz crossover with 12dB high and 24dB low pass slopes; Adjustable delay time • HDCD decoding • AL24 Processing Plus • MP3 Playback • Plays Audio/Video CDs; HDCDs; DVD-Video; DVD-R/RW (conditional); Audio CD-R/RW; MP3 CD-R/RW (128 or higher kbps recommended) • JPEG photo file viewer and Kodak Picture CD compatible • 24/96 digital outputs; optical and coaxial • Optical and Digital Inputs to allow player to be used as outboard D/A converter • DENON Link for connection to AVR-5803 • Internal Copper construction, and multi-layer top and bottom plates • 3 box, 6 block internal layout to isolate analog, digital and video circuits • RS-232C and remote in/out ports • Backlit remote control • Dimensions: 17.1"w x 5.4"h x 16.2"d • Weight: 40.8lbs. • Download Setup Tips for DVD-Audio Playback in pdf format, click on tech note icon . ■ Il nuovo circuito Progressive di FAROUDJA (Uscita NTSC / PAL) Oltre al Motion Adaptive Deinterlacer, che elabora i segnali video in unità di pixel, la tecnologia video a scansione progressiva ad alta definizione è resa possibile da un processore in modalità mFilm, che supporta materiale pulldown 3:2 e 2:2. La tecnologia DCDi, famosa per la sua capacità m,di elaborare linee diagonali e bordi, produce immagini omogenee, naturali e prive di disturbi. m,Il DVD-A11 è inoltre dotato di 5 modalità di scansione progressive che permettono all’utente di selezionare la conversione progressiva ideale per ciascuna delle sorgenti di programma scelte fra un’ampia gamma. ■ Convertitore Video Dual a 12-bit, 216-MHz Il DVD-A11 utilizza un totale di sei convertitori D/A video 12 bit/216 MHz per trarre il massimo potenziale dalle prestazioni del nuovo circuito di FAROUDJA. Il DVD-A11 utilizza convertitori D/A indipendenti per la riproduzione delle immagini Progressive med Interlacciate. Questi convertitori garantiscono una frequenza di campionatura molto elevata, pari a 216 MHz, con una sovracampionatura 8x utilizzata per il funzionamento in modalità Progressiva ed una sovracampionatura 16x in modalità Interlacciata, ottenendo come risultato la conversione D/A più precisa attualmente disponibile. ■ Sezione Video Utilizzando un filtro con estese caratteristiche di sezionamento come filtro analogico passa basso, il DVD-A11 riesce a riprodurre le delicate sfumature dei segnali video, consentendo allo spettatore di apprezzare le immagini originali al massimo livello di realismo. ■ Alimentazioni indipendenti Sono state studiate alimentazioni indipendenti per lo stadio di elaborazione del segnale audio, lo stadio del segnale video ed altre sezioni, allo scopo di eliminare le interferenze reciproche. L’alimentazione di potenza che viene fornita ai vari circuiti contribuisce ad una elevata qualità delle immagini e del suono. ■ Noise Shaped Video (NSV) ■ Filtro Super Sub Alias ■ Circuito di Riduzione Rumore Rumore di fondo e sfarfallio, caratteristici problemi dei segnali video compressi in formato MPEG, vengono efficacemente eliminati per produrre un’immagine video più naturale. Inoltre, la riduzione del rumore 3D elimina i disturbi minori presenti nell’immagine video per riprodurre splendidamente solo le informazioni video richieste. ■ Modalità Pure Direct Il DVD-A11 include due modalità Pure Direct che migliorano ulteriormente la qualità del suono. Ad esempio, durante l’utilizzo dell’uscita audio analogica, il Pure Direct può disattivare le alimentazioni della sezione digitale, della sezione video ed il display frontale, che potrebbero influire sulla qualità sonora dei segnali audio analogici. ■ Elaborazione AL24 per tutti i canali Denon ha ulteriormente sviluppato la propria tecnologia brevettata AL24 Processing per la riproduzione delle forme d’onda analogiche, a supporto della frequenza di campionatura di 192 kHz del DVD-Audio. Questa nuova tecnologia, AL24 Processing Plus, sopprime efficacemente il rumore di quantizzazione associato alla conversione D/A dei segnali LPCM, per riprodurre i segnali di basso livello con un’eccezionale chiarezza, che mette in luce tutte le delicate sfumature musicali. 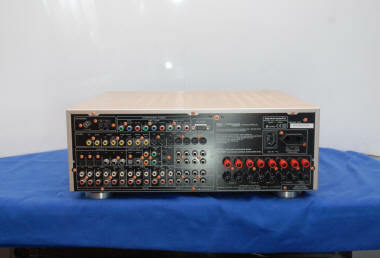 ■ DENON Link Quando il DVD-A11 è collegato tramite un apposito cavo con terminali RJ-45, ad un amplificatore A/V dotato di ingresso Denon Link, il trasferimento bilanciato di segnali offre una tensione inferiore rispetto ai cavi coassiali o non bilanciati. Dato che DenonLink è molto meno sensibile al rumore irradiato, garantisce il massimo livello di trasferimento di segnale. L’interfaccia Denon Link è in grado di trasferire un’uscita digitale di alta qualità LPCM 24-bit / 192-kHz / a 2 canali (*1). ■ Costruzione multistrato Poiché i dati ad alta densità registrati su DVD devono essere letti con assoluta precisione, le vibrazioni provenienti da sorgenti esterne o interne, come l’alimentazione, influiscono negativamente sulla qualità del sonoro e delle immagini. Nel DVD-A11 sono state adottate diverse soluzioni per sopprimere queste vibrazioni indesiderate. Il fondo del telaio del DVD-A11 è caratterizzato da una solida struttura a 3 strati progettata per meliminare le vibrazioni. Robuste flange di rinforzo vengono utilizzate anche sul frontale e sul retro del telaio stesso. L’aggiunta di una copertura superiore a 2 strati e di materiale isolante, servono ad eliminare le vibrazioni esterne. E la base del trasformatore è realizzata di alluminio pressofuso che assorbe le vibrazioni esterne e quelle provenienti dal trasformatore stesso per garantire un funzionamento ottimale. Lettore digitale per DVD, DVD-R, CD, CD-R, CD-RW e MP3. Convertitore D/A audio a 24 bit/192 kHz. 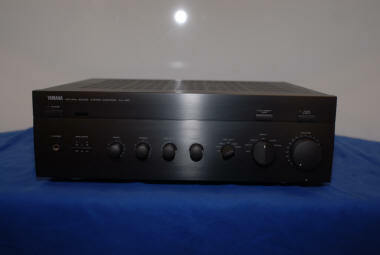 Uscite audio digitali AC-3, DTS e PCM, uscita analogica stereo. Convertitore D/A video a 10 bit, 27MHz. 1 uscita video composito, 1 S-Video, 1 SCART (RGB). Pannello frontale in alluminio. Funzione di zoom x2 e x4. On screen display. Telecomando multifunzione in dotazione.Finitura in nero o oro. Lettore digitale per DVD, CD, CD-R, Video CD e DAD. 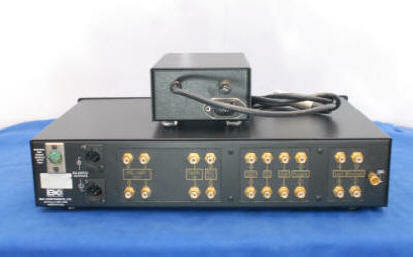 Convertitore D/A audio a 24 bit/96 kHz.Uscite audio digitali AC-3, DTS e PCM, uscita analogica stereo. Convertitore D/A video a 10 bit.1 uscita video composite, 1 S-Video e 1 Y/C(SCART).Filtro Super Sub Alias. On screen display.Telecomando multifunzione in dotazione.Finitura nero I dischi CD-R registrati senza un corretto procedimento di finalizzazione potrebbero risultare leggibili soltanto in parte o completamente illeggibili. 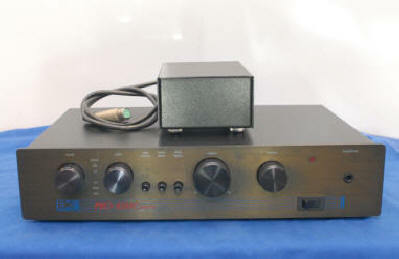 Piastra doppia cassetta TEAC W585R dotazione veramente completa : doppio motore per ogni piastra, telecomando, DOLBY B C HX PRO, ingresso stereo per microfono, autoreverse. Audio video program route selector A switching console for people who have more equipment than their receivers have inputs.